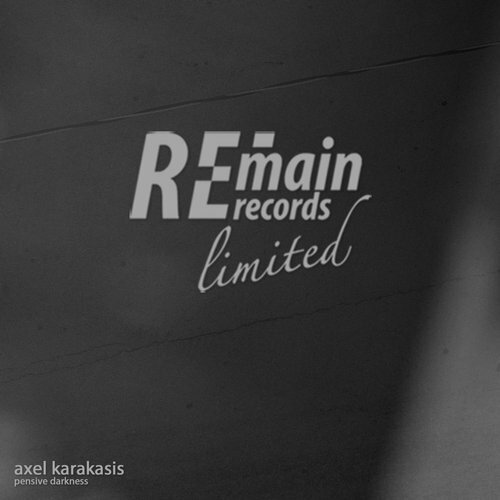 Remain Ltd. 107, Pensive Darkness, is a hat-trick by the Greek techno heavy-weight, Axel Karakasis. Three crispy cool tracks are brought to you to impact the beginning of the summer in the most groovy way! The title track is one glorious composition of dark basslines, wicked percussion and cheeky synths, surrounded by catchy rhythm that guarantee a fully loaded dancefloor workout. Expectations is one beautiful demonstration of the versatility in Axel Karakasis's repertoire. It mixes in the sweetest way soft keys and thumping beats, and laid-back funkiness with provoking loops and cymbals to deliver an addictive track that will just blow your mind away! Last, but second to none, Fluid Ambition is here to...roll! Fresh and fierce, cute and sharp, full of rhythm but yet melodic this track caters for all tastes and challenges your senses, leaving you wanting for more! 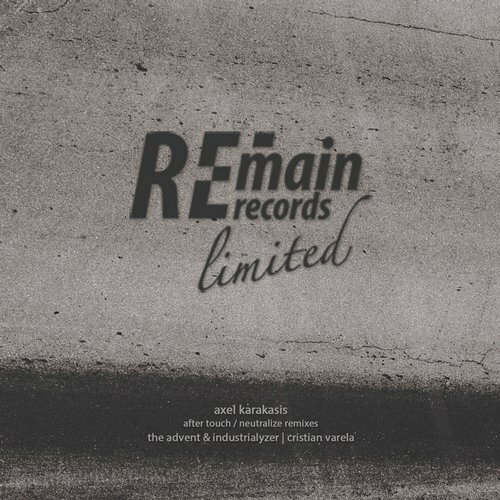 Remain Ltd 106 brings you remixes of two tracks originally signed by Axel Karakasis and included in our 10 year anniversary album! Three top caliber producers, The Advent and Industrialyzer, and Cristian Varela have taken on the challenge and transform this into an extended Techno experience for all Remain fans! Portuguese power duo The Advent and Industrialyzer, are on fire and combine relentless percussion, supernatural synths, smart filters and an exquisite series of layering to deliver a magnificent mix of After Touch, with their unique signature. Neutralize remixed by the Spanish Techno driving force Cristian Varela. Thumping beats, dark keys and a most amazing bassline, all topped up with loops and a haunting vocal placed with precision throughout the track, compose a track for a hot dancefloor workout!